Do you catch yourself making preemptive assumptions and expectations about people? We probably all do it at some point. We hold expectations for people in our lives that could be seen as (in a very general sense) negative or positive. As leader, the question for you would be: is your focus on what your team is doing wrong, where they are messing up, and what needs to be fixed? Or do you focus on the strengths of each team member and see the potential in your people? As leaders, we need to be careful of these assumptions and expectations. If we only see our team members based on our subjective lens, we could be hindering the achievement of their individual potential. Research indicates that expectations impact outcomes. Another way of saying this is others will adopt the expectations we have of them. For example, a group of researchers wanted to see the impact that Theory X (authoritarian) leaders had on Theory Y (participative) employees and vice versa. However, these researchers ran into a problem. They could not find Theory X leaders with Theory Y employees or Theory Y leaders with Theory X employees. It seems the leaders got what they expected from their employees. The study showed: regardless of how an employee tended to behave (authoritarian or participative) when they started, they eventually adapted the behavior that their manager expected of them. One of the reasons expectations have such a powerful influence on outcomes is that what we believe drives our behaviors and behaviors drive outcomes. If you expect a behavior to have an impact, you are likely to take that behavior. Similarly, if you expect that doing something is not going to have an impact, then you are unlikely to take that action. For example, if you believe studying will improve your results on a test (and you have a desire to get a good grade), you are more likely to study. But if you believe you are horrible at math and no matter what action you take, you will do poorly, you probably won’t put much effort into studying. If you believe that coaching will help improve an employee’s performance, you are more likely to provide the coaching. What are the assumptions you are making about each of your team members? Are they negative or positive assumptions? It is important to separate the outcome or results from the intent. This is one of my all-time favorite questions. Stop and ask yourself, “What else could be true?” Write down every possible answer that comes to your mind, regardless of whether or not you believe it at the time. 3. Prime your mind for success. Prior to going into a meeting, or better yet at the beginning of each day and several times throughout the day, think about all of the things your team is doing well. Focus on strengths of each of your individual team members and what you really appreciate about each member. You could even (and especially) try this approach before having a difficult conversation with an employee. You might not have to specifically detail for the employee what you see as their strengths during the conversation. But priming your mind with this information before the conversation will have a positive impact. What we truly want as leaders is to help each employee reach their fullest potential. After all, that is why we wanted to become a leader! It is our human nature to sometimes make judgments that are not helpful to this goal. Take time to go over these three tips to make a daily positive impact on your employees, and you’ll see how far your organization can go. Do you want to learn more about how leaders can help their teams? Get in touch here, and we can have a conversation about how I can help. 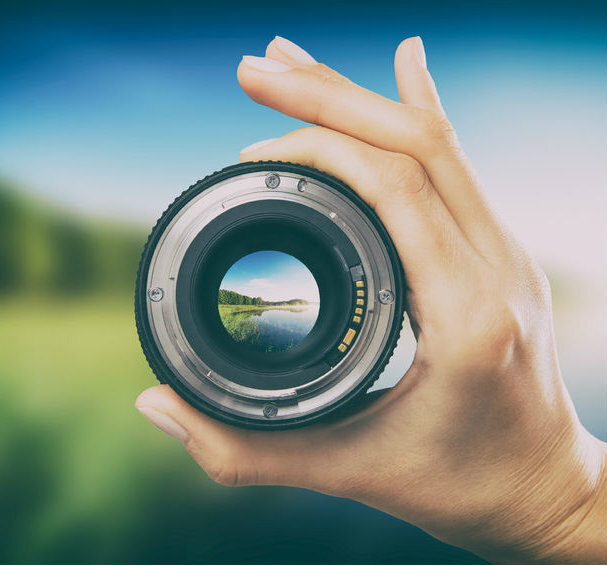 As A Leader, Where's Your Focus? As a leader, we always want to be aware of our expectations for our teams. Read here what to be careful of and how to use positivity to help your teams reach high expectations with success.